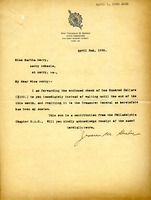 Mrs. Wood sends a $1000 check collected by the local chapter of the D. A. R..
Mrs. Gerber writes to Martha with a check for one hundred dollars from the Philadelphia Chapter of DAR. 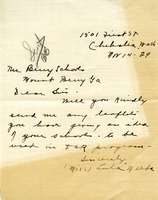 Martha Berry expresses her gratitude to the members of the McPherson Chapter DAR for their contribution to The Berry Schools. 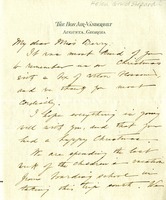 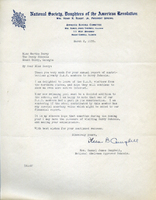 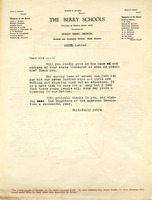 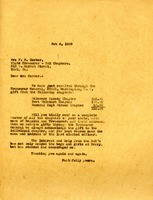 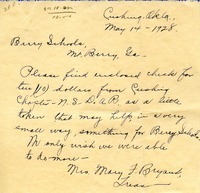 Model letter from Martha Berry to request the name and address of the state treasurers of Daughters of the American Revolution chapters. 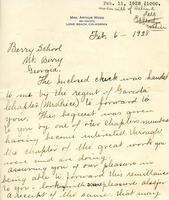 She then describe the students working in the new term and wishes them a successful year.